On the website you can find the biography of a Georgian contemporary scientist and a follower of modern rheology – Maka Mantskava. Here also you can become familiar with descriptions of fundamental and practical researches planned by the scientist and implemented by her leadership, annotations of the implemented and ongoing grants and projects, scientific articles, monographs, information about upcoming and conferences that have already taken place organized by Maka Mantskava. 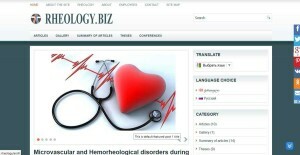 Modern researches, new perspectives, and innovative methods of education are described on the website. The website will assist its users in developing interdisciplinary, inter institutional knowledge, widening international relations, transferring knowledge and technology, spreading materials (Open Access). A wide range of international journals in rheology can be found on the website. 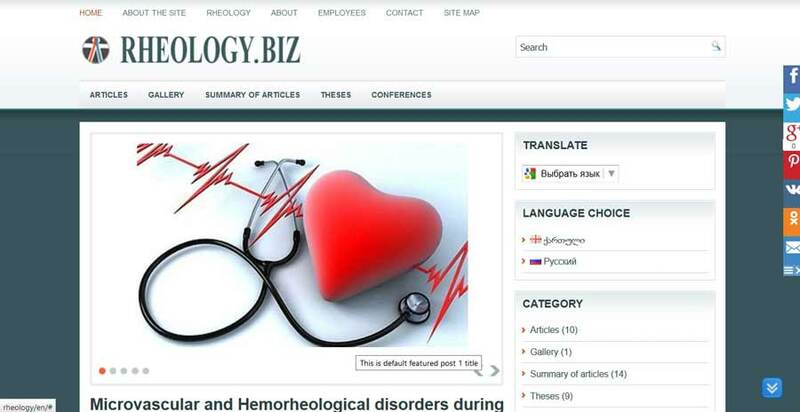 (https://www.iospress.nl/journal/clinical-hemorheology-and-microcirculation/ https://vestnik.pstu.ru/biomech/about/inf/) The member of the editorial board, expert groups and reviewers is Maka Mantskava. You can find current news on the website. The website has a feedback page – "Contact" for contacting us. The website is created for doctors, scientists, researchers, PHD researchers, masters, bachelors, students, who work in biomedicine, physicians, chemists and people in other related fields. Patients have the opportunity of receiving online clinical rheology specialist consultations as well as signing up for appointments.